This elegant 2015 Jaguar XJ XJL Portfolio AWD, for sale at Jaguar Colorado Springs, is loaded with luxury features. Power and performance will never be an issue with the 3.0L 24V Supercharged V-6 engine paired with an 8-speed automatic transmission. Even with all of that power, fuel-efficiency is not lost. This great Jaguar is EPA certified at an estimated 24 MPG HWY/16 MPG CITY! 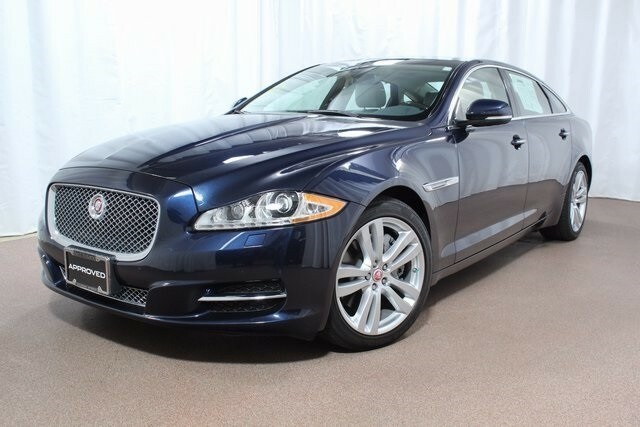 This beautiful auto has been selected as an elite Jaguar APPROVED Certified Pre-Owned vehicle. Visit us at Jaguar Colorado Springs to experience a test drive in this premium Jaguar.